This year is our eighth summer season at the site. 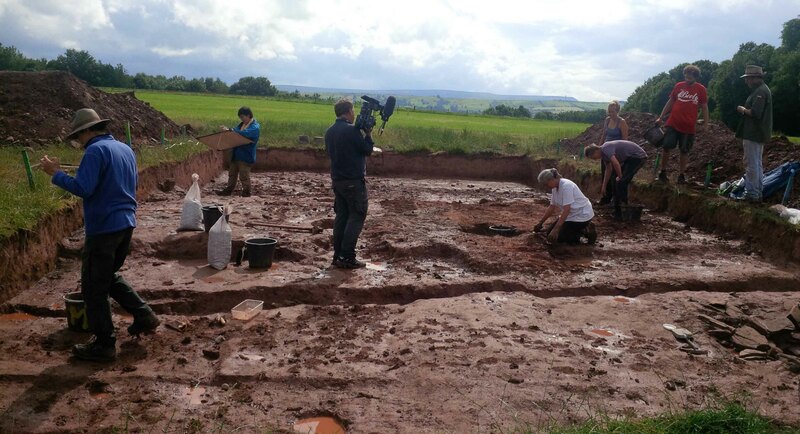 This year’s excavation begins on Monday 25th June (students from Manchester and Cardiff universities arriving on Sunday 24th) and will as usual run for four weeks. Dorstone Village Hall Starting 7.30pm, £1 on the door. 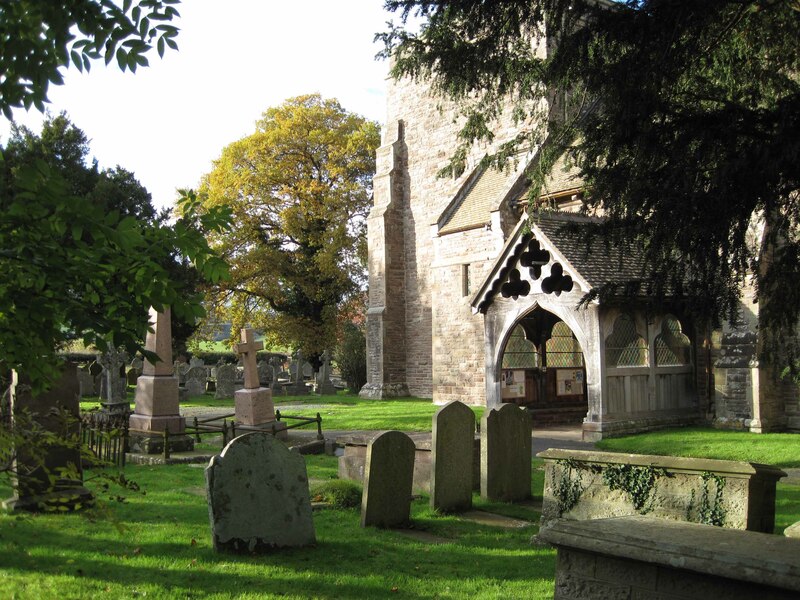 New excavations will be starting on Tuesday 27th June to the week-end of the 22nd/23rd July. 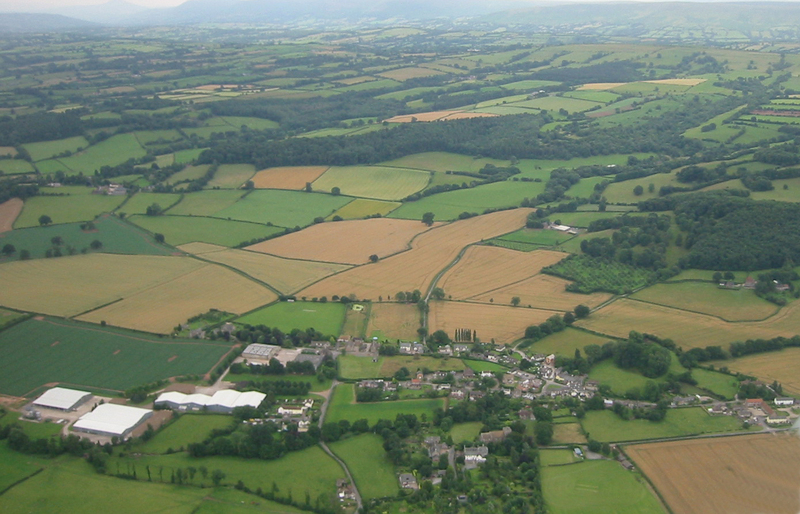 Held in conjunction with the new excavations on Dorstone Hill. Admission £1 for everyone – to cover costs of Hall hire. The 2015 dig is now completed . 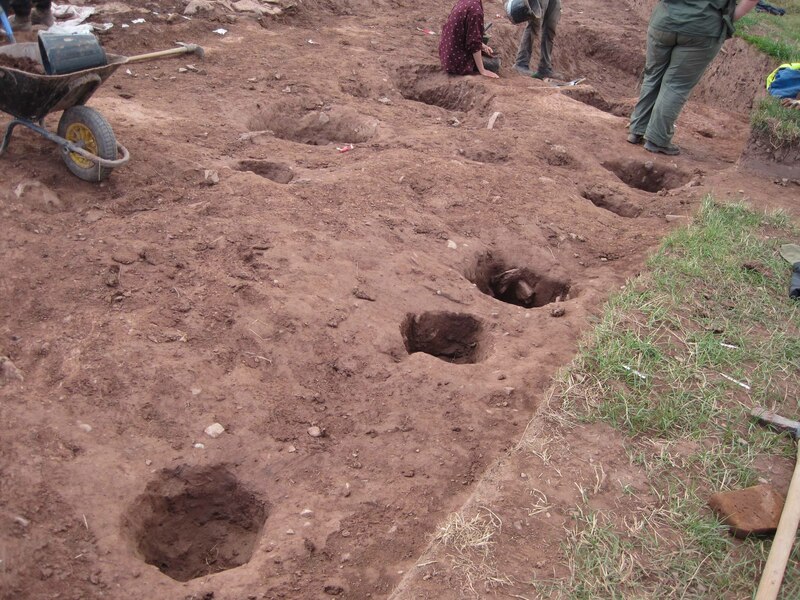 It is now clear that there were indeed three mounds, very close together, which were developed at different periods and even in different ‘styles’. This year’s excavations re-exposed the 2014 dig, and continued further out towards the road to expose the end. Evidence of rows of post holes has emerged to the north side, showing where a ‘hall’ stood in relation to the final mound. There is evidence that the south side was robbed of stone at some point. We look forward to hearing more in the coming months as the finds are interpreted. 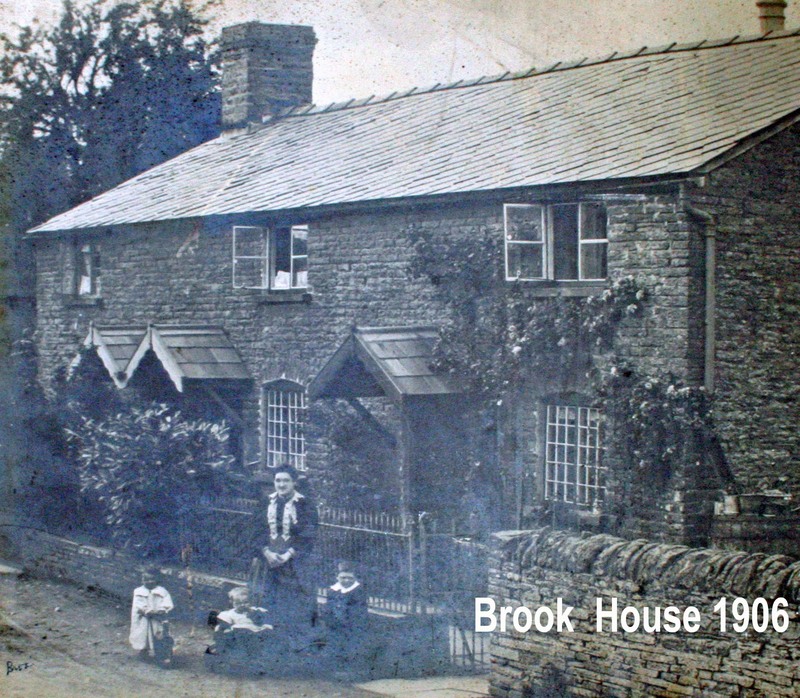 Dorstone History Society got off to a flying start in January 2014, when 53 people attended the first meeting and 32 immediately signed up as members. The first talk was about the Dorstone Halls of the Dead Dig 2013, and was given by Tim Hoverd, Archaeological Projects Officer. His excellent talk gave a surprisingly detailed picture of the purpose and construction of the ‘Halls of the Dead’ and the society in which they were created. One surprising fact was just how far afield people travelled and traded thousands of years ago, as evidenced by the artefacts that have been discovered so far. 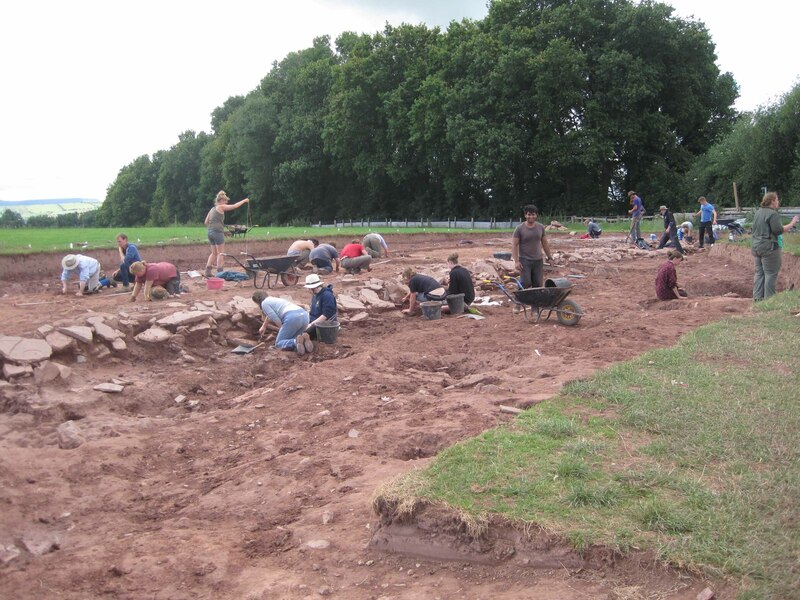 In July, the dig team from Manchester and Cardiff Universities returned for a month to explore a new area of the site. A long barrow had been flattened at the end of WWII to provide land for cultivation. Underneath there appears to be yet another Hall of the Dead, revealing huge post holes. This underlines the initial conclusions that this was a very important site, which continued to be developed over many centuries.